It is a quiet day. 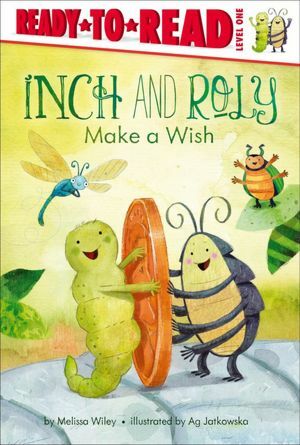 Inch and Roly and their friends, Dragonfly and Beetle, are looking for something to do. They can walk to the wishing well and wish for something to do! Join these adorable friends as they find ways to make many more wishes in this sweet Level 1 Ready-to-Read story perfect for beginning readers. 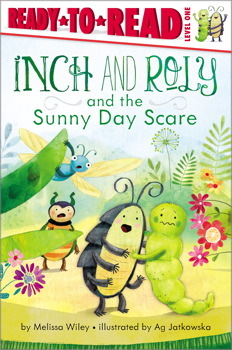 Spotlight on Inch and Roly at the Ready-to-Read home page! Inch and Roly and their friends are hiding, but they will have to be careful—this is a very small hiding place! 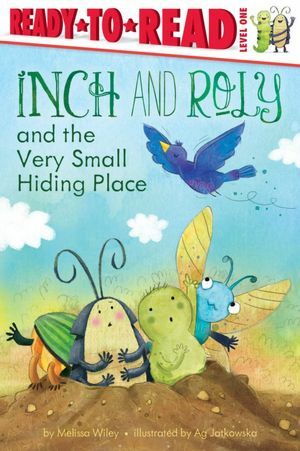 In this story full of gentle humor, Roly Poly and her friends squeeze into a hole to hide from a bird. But it turns out that being smushed together in the hole is not so much fun! This Level 1 Ready-to-Read tale is a sweet addition to a charming series that stars familiar playground insects and is ideal for beginning readers. Visit the Ready-to-Read home page! Roly sees something in the grass, but she doesn’t know what it is. Roly, Inch, Dragonfly, and Beetle try to identify it. Is it a tunnel, or perhaps a hill? Maybe it’s a snake! Each of the bugs thinks something different based on their different perspectives. In the end, after much panic, Roly identifies the mysterious object, and all the bugs receive a refreshing surprise!